Here you are buying a brand new BGA branded , ISO Certified Quality Assured OEM Quality timing chain conversion kit as seen in image. CHAIN KIT CONTAINS 17 PIECES WHICH CONSIST OF 1 x UPGRADED VACUUM PUMP DRIVE 1 x UPGRADED HEAVY DUTY BEARING 2 x DUPLEX TWIN CHAIN 7 x GUIDE RAIL 2 x TENSIONER 4 x GEAR FITS NAVARA (D40) - 2.5 dCi 2005-2009 PATHFINDER (R51) - 2.5 dCi 4WD 2005-2009 AVENTURA (R51) - 2.5 dCi 2005-2009 TO CONVERT THE NISSAN YD25DDTI 2006 , 2007 , 2008 , 2009 ( WILL NOT FIT MODELS AFTER 01/2010) This kit has been specially designed by expert engineers who have identified that the problematic D40 engines. this issue is on models which where made after 01/2006 and used 1 single (simplex) chain and 1 twin (duplex) kit which is very weak compared . 1 x NEW ALTERNATOR FAN BELT MODELS WITH AC 1 x NEW POWER STEERING BELT FITS Nissan NAVARA (D40) 2.5 dCi 4WD 07/2005- Nissan Navara 2.5 D40 07/05-09/2006 Nissan Navara 2.5 dCi 05/2005- Nissan Navara 2.5 dCi 05/2005- Nissan Navara 2.5 dCi 12/2009- Nissan Navara 2.5 dCi 12/2009- Nissan PATHFINDER (R51) 2.5 dCi 4WD 02/2005-12/2006 Nissan PATHFINDER (R51) 2.5 dCi 4WD 03/2005- Nissan PATHFINDER (R51) 2.5 dCi 4WD 09/2006-12/2007 Nissan Pathfinder 2.5 dCi 02/2005-06/2010 Nissan Pathfinder 2.5 dCi 02/2005-06/2010 Nissan Pathfinder 2.5 R51 03/2005-04/2006 PLEASE LEAVE VEHICLE REGISTRATION NUMBER AFTER PURCHASE TO AVOID ANY DELAYS IN THE DELIVERY PROCESS!. 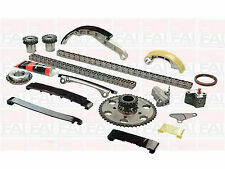 1 x TIMING CHAIN KIT *OE QUALITY* 2 YEARS WARRANTY FITS NISSAN PATHFINDER R51 2.5 DCi 06/2006-2010 BRAND NEW QUALITY PRODUCT. We just want you and your car to be happy! We will always attempt to rectify the issue as fast as possible! NISSAN 13014EB70A. NISSAN 13021EB305. NISSAN 13024AD200. NISSAN 13028AD212. NISSAN 13028EB300. YOU ARE BUYING OE QUALITY TIMING CHAIN CONVERSION KIT CHAIN KIT CONTAINS 17 PIECES WHICH CONSIST OF 1 x UPGRADED VACUUM PUMP DRIVE 1 x UPGRADED BEARING 2 x DUPLEX TWIN CHAIN 7 x GUIDE RAIL 2 x TENSIONER 4 x GEAR FITS NAVARA (D40) - 2.5 dCi 2005-2009 PATHFINDER (R51) - 2.5 dCi 4WD 2005-2009 AVENTURA (R51) - 2.5 dCi 2005-2009 TO CONVERT THE NISSAN YD25DDTI 2006 , 2007 , 2008 , 2009 ( WILL NOT FIT MODELS AFTER 01/2010 This kit has been specially designed by expert engineers who have identified that the problematic D40 engines. this issue is on models which where made after 01/2006 and used 1 single (simplex) chain and 1 twin (duplex) kit which is very weak compared to the earlier type fitted up to 2006 as they where fitted with 2 double (duplex) chain . Model: Pathfinder. Make: Nissan. We are happy to help you with this process. We will always try to find your sale but if we have no information it's like finding a needle in a haystack! Need your item within 24 hours?. Technical Drawing. Model year from: 10/2011; Driven Units: Driven unit: alternator; Driven Units: Driven unit: power-steering pump; Heating / Cooling: for vehicles with standard cooling. Headquartered in Denver, Colorado, Gates employs over 14,000 people across 106 locations in 30 countries. NISSAN NP300 NAVARA (D40) 2.5 dCi 4WD. NISSAN NP300 NAVARA (D40) 2.5 dCi 4WD (D40TT, D40T, D40M, D40BB). NISSAN NP300 NAVARA Platform/Chassis (D40) 2.5 dCi. NISSAN NP300 NAVARA (D40) 2.5 dCi. NISSAN PATHFINDER III (R51) 2.5 dCi 4WD. 1 x BRAND NEW EXEDY CLUTCH KIT FITS: NISSAN - PATHFINDER (R51) - 2.5 dCi 4WD 10.06 - Closed Off-Road Vehicle NISSAN - PATHFINDER (R51) - 2.5 dCi 4WD 03.05 - Closed Off-Road Vehicle MODELS WITH DUAL MASS FLYWHEEL. NISSAN NP300 NAVARA (D40) 2.5 dCi. NISSAN NP300 NAVARA (D40) 2.5 dCi 4WD. NISSAN NP300 NAVARA (D40) 2.5 dCi 4WD (D40TT, D40T, D40M, D40BB). NISSAN NP300 NAVARA Platform/Chassis (D40) 2.5 dCi. NISSAN 11927-VC800,11927VC800,11925VC801,531093110,0287R51M. Fits : Nissan Navara D40 / Pathfinder 2.5TD / 2.5DCi. Engine Code : YD25DDTi. Part Number - N9804. Lambda Sensors. Lambda probes & sensors. 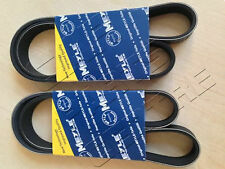 Extra Service EXL/ESC bandless moulded cog V-belts. Spark Plug Tools. Gates Extra Service V-belts are built specifically for more durability and longer life on heavy-duty drives. 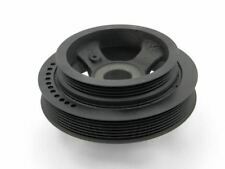 1 x BRAND NEW CRANKSHAFT PULLEY 2 YEAR WARRANTY FITS Description Model Year kW HP cc Build NISSAN NP300 NAVARA (D40) 2.5 dCi 07.05 - 106 144 2488 Pickup NISSAN NP300 NAVARA (D40) 2.5 dCi 4WD 10.08 - 106 144 2488 Pickup NISSAN NP300 NAVARA (D40) 2.5 dCi 10.06 - 120 163 2488 Pickup NISSAN NP300 NAVARA (D40) 2.5 dCi 4WD 10.06 - 126 171 2488 Pickup NISSAN NP300 NAVARA (D40) 2.5 dCi 4WD 07.05 - 128 174 2488 Pickup NISSAN NP300 NAVARA (D40) 2.5 dCi 4WD (D40TT, D40T, D40M, D40BB) 12.09 - 140 190 2488 Pickup NISSAN NP300 NAVARA Platform/Chassis (D40) 2.5 dCi 4WD 08.08 - 106 144 2488 . 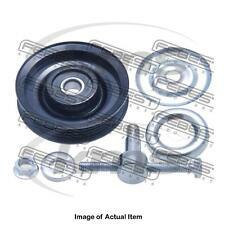 For NISSAN NAVARA PATHFINDER 2.5 dCi D40 R51 TENSIONER PULLEY IDLER KIT. NISSAN NAVARA Pickup (D40). NISSAN NP300 NAVARA Pickup (D23). Pickup 2.5 dCi (YD25DDTi) 144hp / 106kw Diesel 2005 - present. Pickup 2.5 dCi (YD25DDTi) 174hp / 128kw Diesel 2005 - present. 1x TIMING CHAIN KIT BRAND NEW OE QUALITY DIRECT REPLACEMENT FITS Description Model Year kW HP cc Build NISSAN NP300 NAVARA (D40) 2.5 dCi Engine Code: YD25DDTi Eng. Design: D40 Equipment Vart. : CRD only Equipment Vart. : Fitted to 08/2006 Model year to: 08.06 07.05 - 106 144 2488 Pickup NISSAN NP300 NAVARA (D40) 2.5 dCi 4WD Engine Code: YD25DDTi Eng. Design: D40 Equipment Vart. : CRD only Equipment Vart. : Fitted to 08/2006 Model year to: 08.06 07.05 - 128 174 2488 Pickup NISSAN PATHFINDER III (R51) 2.5 dCi 4WD Engine Code: YD25DDTi Equipment Vart. : CRD only Equipment Vart. : Fitted to 08/2006 Model year to: 08.06 01.05 - 120 163 2488 Closed Off-Road Vehicle. NISSAN PATHFINDER III (R51) 2.5 dCi 4WD. NISSAN NP300 NAVARA (D40) 2.5 dCi 4WD. NISSAN NP300 NAVARA (D40) 2.5 dCi 4WD (D40TT, D40T, D40M, D40BB). NISSAN NP300 NAVARA Platform/Chassis (D40) 2.5 dCi. NISSAN NP300 NAVARA (D40) 2.5 dCi. Extra Service EXL/ESC bandless moulded cog V-belts. Gates Extra Service V-belts are built specifically for more durability and longer life on heavy-duty drives. Gates has different types of V-belts in range to cover different application needs. Length [mm] : 823. TOYOTA 99364208208P. NISSAN 11950EB300. Lambda Sensors. Mirror Heads, Housing & Motors. Belt Tensioner Wheels & Bkts. Shock Absorbers. Brake Master Cylinders. Suspension Ball Joints. Deflection/Guide Pulley. Wheel Bearing Kits. NISSAN 0211740023. Eg, Vetech, Erst Klassig, Franzen, NK, etc. With this in mind, we will indicate what type of product you are looking at within the following guidelines. 12 months warranty on all orders. 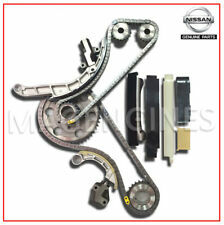 FITS TO : NISSAN NP300 NAVARA (D40) 2.5 dCi 01/2010. FITS TO : NISSAN NP300 NAVARA Platform/Chassis (D40) 2.5 dCi 03/2010-. FITS TO : NISSAN PATHFINDER III (R51) 2.5 dCi 4WD 01/2010-. FITS TO : NISSAN CABSTAR (F24M, F24W) 28.12 DCI, 32.12 DCI, 34.12 DCI, 35.12 DCI 2.5 (F24M) 01/2011-. NISSAN CABSTAR F24M 2006. NISSAN NAVARA D40T 2007. NISSAN NAVARA D40M 2005. TENSIONER PULLEY KIT. 1 x TIMING CHAIN ALIGNMENT PIN --- OE QUALITY --- FITS NISSAN NAVARA D40 2.5 DCi NISSAN PATHFINDER R51 2.5 DCi 06/2006-2010. Weight [kg] : 0.41. NISSAN 11925-VC801. Number of Teeth : 133. NISSAN 13028V5221. NISSAN 13028V5220. NISSAN 13028-V5201. NISSAN 13028-V5200. Length [mm] : 825. NISSAN 11950EB70A. NISSAN 11950EB30A. 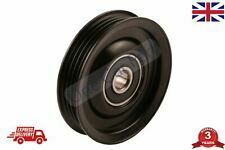 Pulley fits NISSAN PATHFINDER Closed Off-Road Vehicle - 05> - ADN16132. Lambda Sensors. Lambda probes & sensors. Spark Plug Tools. Accessory belts are crucial to the function of modern cars. You need to be confident that yours is the best on the market. Champion Glow Plugs. Specification : 7PK1275. NISSAN 11720EB70C. Specification : 4PK850. TOYOTA 11920 V7301. SUZUKI 95141-55C10. SUBARU G3012-AA608. SUBARU 73013-PA000. SUBARU 49180-60B20. SUBARU 17521-84H00. NISSAN 119509F600. Weight [kg] : 0.3. NISSAN 11955-5X00D. Height [mm] : 19. NISSAN 11925VC80A. NISSAN 11925VC801. Weight [kg] : 0.529. NISSAN 11944-EB31A. Drive Belt Kit K017PK1753 Gates. Part Number K017PK1753. Technical Drawing. Model year from: 10/2011; Driven Units: Driven unit: alternator; Driven Units: Driven unit: power-steering pump; Heating / Cooling: for vehicles with standard cooling. Specification : 6PK1175. SUBARU 80921-8150. SUBARU 17521-85E00. Part Number : ADN196522. Be aware that your Model of Vehicle may have a choice of 2 / 3 different V-Belt Idler Bearing Options. Such variations can apply due to upgrade designs on later chassis numbers, or the manufacturers using different OEM suppliers during production process. Part Number : ADN16132. Be aware that your Model of Vehicle may have a choice of 2 / 3 different Crankshaft Pulley Options. Such variations can apply due to upgrade designs on later chassis numbers, or the manufacturers using different OEM suppliers during production process. Lambda Sensors. Lambda probes & sensors. If the engine sounds ‘rough’, it may be a sign that timing accuracy has deteriorated. Whenever changing the chain, the following must also be considered Tensioners - designed to maintain tension and prevent slack, a faulty tensioner can lead to sudden failure by creating a wave of slack that disrupts valve timing. Width [mm] : 29. NISSAN 11944EB32A. NISSAN 11944EB31A. Length [mm] : 1165. VW 074 903 138. VW 074 903 137 AJ. VOLVO 978397. VOLVO 958542. VOLVO 952254. VOLVO 950852. VOLVO 483185. IN DOUBT WHETHER IT WILL FIT?. 14,000 positive. MAINLAND -24 HRS. (incl: NORWAY & SWITZERLAND). Valve seat angle [°] : 45. NISSAN 13202-BN300. NISSAN 13202-AD210.